Here you can focus on your lyrical skills, play back the beat, practice then record, Playback vocals only or play back with the backing track. You should save the vocals only so you can use them on other backing tracks of the same BPM. This way you can make full remixes of your vocals with ease. Test what your vocals sound like on different styles of beats, believe me it makes a huge difference to the way your vocals are pervcieved. See below for button functionality. Where are the latest beats? 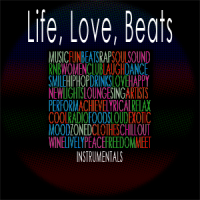 In the beats online section there is PLENTY of free beats. All the latest additions and the archived beats from previous versions will be found here. You will need internet connection to download to device. Information correct for App Version 3.0. There are 2 ways to SAVE and SHARE. What is the share button in the App for? The share button is for sharing your written lyrics only. If you wish to share your song go to your music/DemoTape folder and share via your device share button. Can I use your beats on my mixtape? Yes you can but only if you have purchased the beat. Please see our Lease explaination faq. Free beats and tagged beats can be used too but only if downloaded from legitimate sources. Credit must be given to RapToBeats or BenBeats in writing or verbally. Mp3 and Wav Lease are usually delivery shortly after payment has been VERIFIED. With Premium and exclusive purchases payment verification can take a bit longer but should not be more than 24 hours. In the unlikely event that you haven’t heard anything from us in that period feel free to contact us via our contact form. In the unlikely event that you haven’t heard anything from us in that period feel free to contact us via our contact form. Mixtapes, Albums, Live Performances, Shows, Radio Youtube videos etc.  – Within 24 hours via download link. After Payment verification. Mixtapes, Albums, Live Performances, Shows, Radio, YouTube videos. Max 24 hours via download link after Payment verification. Mixtapes, Albums, Radio, Live, Shows etc. – Max 24 hours via download link after Payment verification. Full music rights to a beat will be transferred to you from us. Purchase of the particular works will no longer be available. You as the new owner will be free to make as many sales a nd resells as you want. Signing to a record label will be free from royalty payment to us. You will be able to do as you wish with the beat. Can I do anything I want with Free Beats? Free music offered by RapToBeats can only be used for NON COMMERCIAL projects. Rappers and Singers alike practice their skills on free and tagged beats to see which beats are best for them before making a purchase. What benefits can I get if I buy RapToBeats PRO? After an Update I can’t find a track that I was working on. Sometimes the order of tracks will change simply check in the online section and check , all older tracks should be there. Our RapToBeats Pro has ALL tracks plus more. This is usually to do with your internet connection. Make sure you have a decent connection to download music. If it still takes time exit the program and try again, once downloaded it can be played back without internet access. If your vocals do not sound as good as expected when using the app it is usually due to the way you have recorded it. The device has a problem with recording generally. 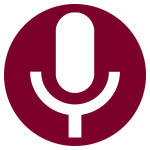 Go to your device look for a voice recorder app which should already be on your device, record something and playback to make sure this can be done. Insufficient memory on device. Check the amount of storage memory you have on your device, if it is nearing 90-100% Android OS will reject the recording. Remove some data to bring your available memory up and you will be able to record. User does not play the beat first then press record. Press the white play button then press the red record button. User is recording over the newly created track by pressing the red button too many times. After hearing the recording playback, go to the menu > Save Recording’ before proceeding. Go to menu > My Demos to review your recordings. The app should record but in order for us to replicate your problem please give us the following details so we can attempt to resolve it. What you are seeing when pressing record. Is the recording text displayed? Does the record button depress and the record text displayed but there simply is no sound? Please let us know even if you can send a short video showing the problem. What is a leased beat Exclusive etc? Leased beat, once purchased can be used for making full tracks which can be sold a limited amount of times (3000 copies). 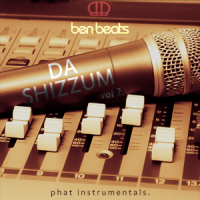 The user cannot resale the instrumental beat on it’s own, you will need exclusive rights for that. PREMIUM File delivered as a wav file with all the instruments as separate wave files. This is really for studio real artists who want to mix down the track with your vocals to industry standard quality. EXCLUSIVE Same as premium but you now own the rights to the track and can do with it as you please. Ideal as you will get all the royalties and can get signed without any complication, red tape or other payments.